The TDC-9100 is a 10″ Tabletop Touchscreen Controller for the URC Total Control 2.0 system. Total Control is a premium, fully-integrated automation and control system that is designed for residential and commercial applications. It is ideal for larger homes and commercial installations such as bars, restaurants, conference rooms and hospitality venues. The TDC-9100 features a built-in AV intercom. 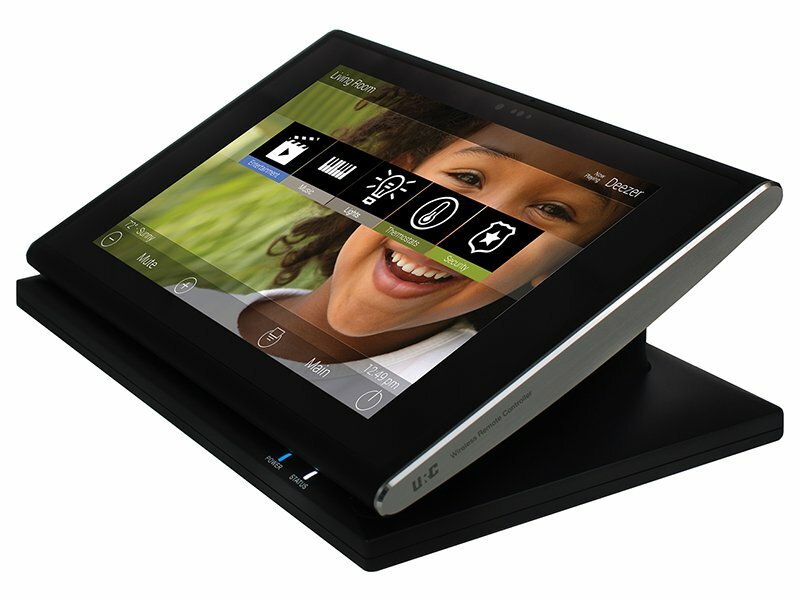 The AV intercom enables users to communicate room-to-room with the full family of Total Control 2.0 tabletop touchscreen controllers and in-wall touchscreens. The user can see live video on the brilliant 10″ screen and speak with the person in the other room. It also features live camera view. This view enables the user to see live video from integrated door stations and surveillance cameras. Images are crystal clear, making it ideal for kitchens, family rooms, bedrooms, conference rooms, bars and more. When a user is communicating with a compatible door station, they can see, talk to and hear the person at the door. The TDC-9100 incorporates a variety of other convenient features. 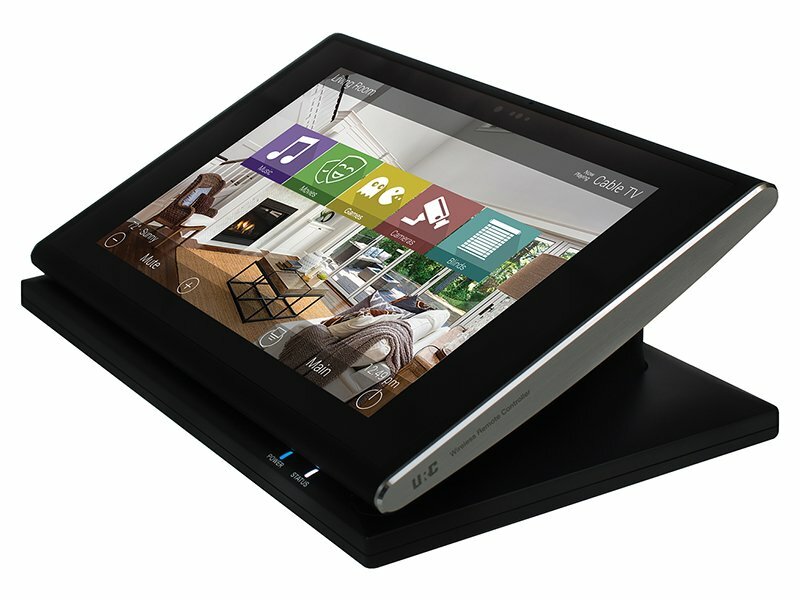 It features quick-connect 2.4 GHz or 5.0 GHz Wi-Fi, night mode, and a proximity sensor. These features enhance the premium performance of the device and of the Total Control system. The brilliant 10″ screen displays vivid images of Total Control menus such as Favorite Channels, Shortcuts, Live Camera View, Main Menu and Scenes Menu. The professionally-programmed menus are easy to learn and simple to use for all family members and commercial staff members. The menus and graphics are fully-customizable by the systems integrator. The integrator can upload and program actual images of the home, rooms or commercial building for a truly-personalized experience. The integrator can also create custom backgrounds and icons using photos taken by a camera, smartphone or tablet – or use images from the large URC image library. 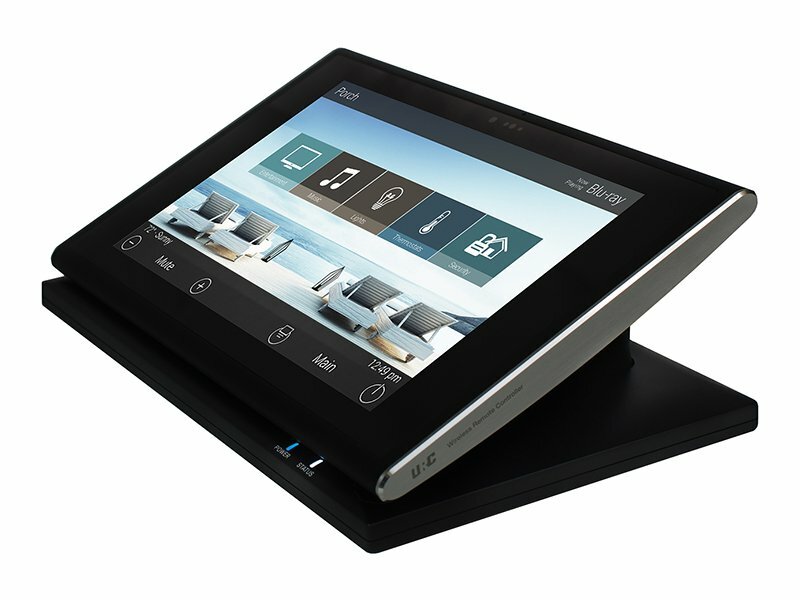 While some other brands of touchscreens have the appearance of a tablet, the TDC-9100 is designed to fit seamlessly into high-end residential and commercial settings. The high-quality design, materials and screen appeal to discerning consumers, designers, architects and builders alike.